1185 2nd Street, Suite F, Brentwood, CA 94513 - Now open until 7PM on Thursdays! Got the need for speed? Or a hankering for full suspension? Check out the hottest brands at The Bike Shop! Does your bike shift on its own? Are your tires needing air? Is it making some odd noises? When you squeeze your brakes, do you actually stop? 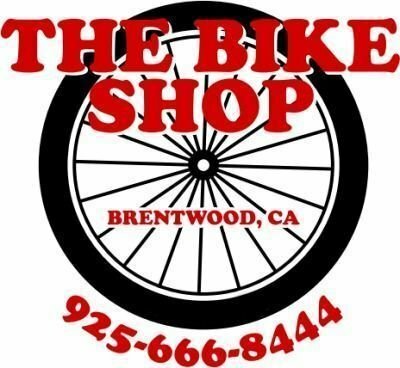 The Bike Shop is a new full-service shop that has its initial roots in Antioch. Known as Schwinn City for over 70 years, we are bringing that vast knowledge, experience, and friendly customer service to a new location. We will strive to provide the Brentwood community with the much needed cycling service it deserves. We will service and repair almost all types of bikes and provide the consumer with a positive experience. We feel customer service is the key to the longevity of The Bike Shop. Owned and operated by Ron and Kelly Lopez, we pride ourselves on customer service. We know that there are all types of riders. From high end bikes, to commuters, we want everyone to have the best experience possible. Our mechanics encompass not just professional experience through schooling at Barnett Bicycle Institute, they all come from a riding background. Owner and head mechanic, Ron Lopez, was also a professional mechanic on the national mountain biking circuit and made noise throughout the scene with his expertise. Stop by, you won't be disappointed.